I have tested it with OMSK, it’s simple. 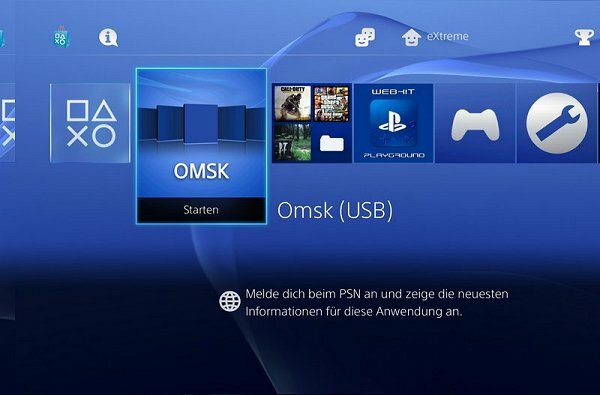 Install OMSK PKG (OMSK PKG / OMSK Debug PKG / OMSK RIF), copy user/app/NPXS29005 on your USB device (FAT32/exFAT) and delete the folder (NPXS29005) on your PS4 HDD afterwards. With the Database we can mod a few things in our Home Menu, so you have to edit table tbl_appinfo and search for the title_Id (NPXS29005). Change _org_path to /mnt/usb0/user/app/NPXS29005, that’s all. Now you can run the App only if you plug in your USB device.